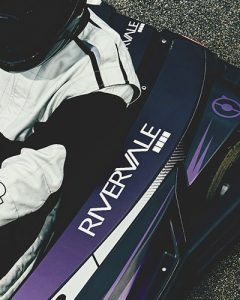 The Rivervale Cup is a monthly team racing event which is aimed towards local companies, groups of friends and racing teams who want to put their driving skills to the test. The Rivervale Cup is broken down into 2 sessions, qualifying (2o minutes) and the race (100 minutes). Your starting grid position is determined by your teams individual fastest lap time set in the qualifying round. The team to complete the most amount of laps in the race is the winning team. The Championship is run over 6 race meetings but we will only keep the best 4 results. This means that you don’t have to race in all 6 meetings. The winning team will have their name engraved onto the trophy which will stay in the Brighton Karting hall of fame! The top 3 teams at the end of the Championship will be invited back to race against each other in a Free Sprint 30 race, here we will find the ‘best of the best’. This event is fantastic for corporate team building, small groups and networking with other local companies, karting enthusiasts and teams.